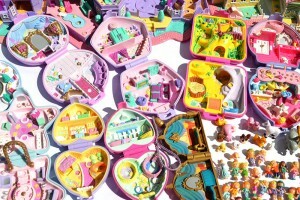 Polly Pocket took up where Little People (Fisher Price) left off. 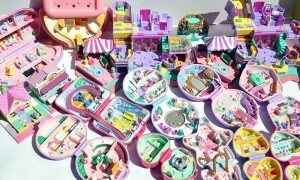 Polly Pocket got an entire dollhouse with a few tiny accessories that could literally fit in your pocket. 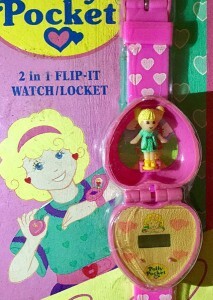 Vintage polly pocket compacts by Bluebird have become extremely collectible because the millennials are nostalgic for a simpler time with less robotics and more imagination. This post contains referral links. 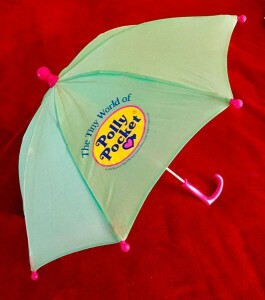 The toys that creative fathers come up with for their little ones are amazing. 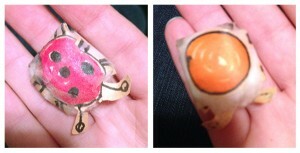 For instance, my dad made me a toy ladybug because I was unhappy that I had to release my (live) ladybug hostage back into the wild. His innovative use of improvised materials included: construction paper, markers, tape and a cotton ball for stuffing. 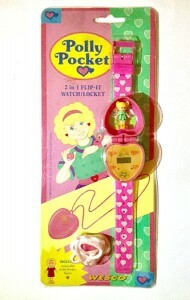 She also had a treasure-trove of vintage Polly Pocket related paraphernalia for sale. 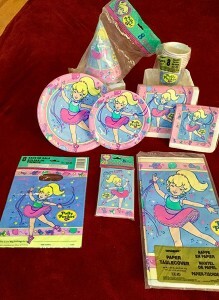 These items included many consumables. Consumables are items that rarely survive because they are used and discarded (like party supplies, plates, etc). 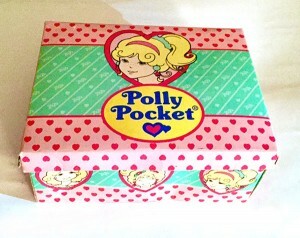 And vintage Polly Pocket clothing and accessories. 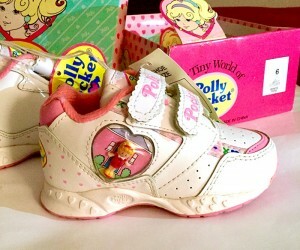 Polly Pockets audience was very young it’s rare for these things to survive. 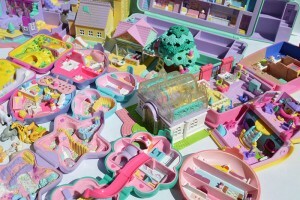 Polly Pocket evolved. She was no longer bound to stand in a few pre-designated holes in her brightly colored plastic tableau. 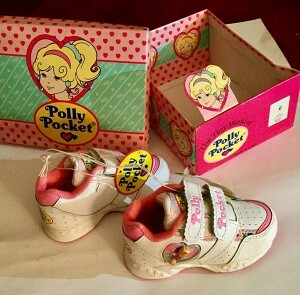 Polly grew substantially taller and suddenly acquired an extensive wardrobe. She become more and more like a traditional fashion doll. 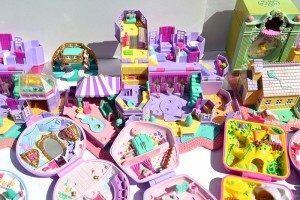 On eBay you can find treasure troves of vintage Polly Pocket lots. Seller godshamgod10, fellow lover of 90’s ephemera (@SwagSupermarket on IG) recently sold a really nice collection. 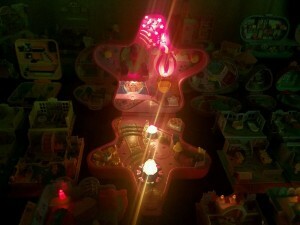 This collection had several vintage light up Polly Pockets. 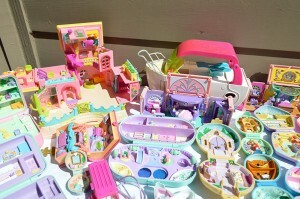 Finally, another recent vintage Polly Pocket lot treasure trove was sold by Eponarosevintage. 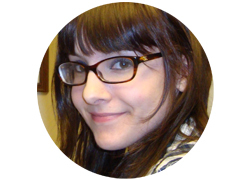 Be sure to take a look at her eBay store, she has a nice collection of old die-cut Valentine’s day cards for sale. 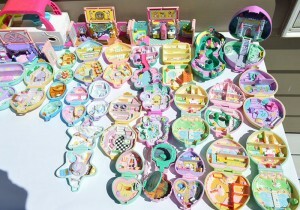 Lot of Vintage POLLY POCKET Bluebird Toys Pollyville Mat + Magical Mansion More!